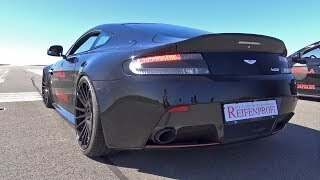 The 2015 Aston Martin V8 Vantage N430 is the latest track ready road legal car from Aston Martin. 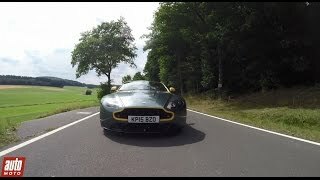 The V8 Vantage N430 is available in Coupe and Roadster form. 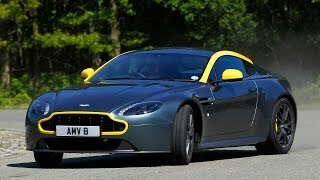 The new V8 Vantage N430 is powered by a 4.7 Litre V8 engine (front mid-mounted), which delivers 430hp of max power at 7300 rpm and 490 Nm of max torque at 5000 rpm. The car completes the sprint from 0 to 100 km/h (0-62mph) in just 4.8 seconds and has a max speed of 190 mph (305km/h). 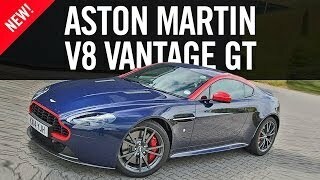 The 2015 Aston Martin V8 Vantage N430 is priced from £89,995 and deliveries are expected to begin in September 2014.